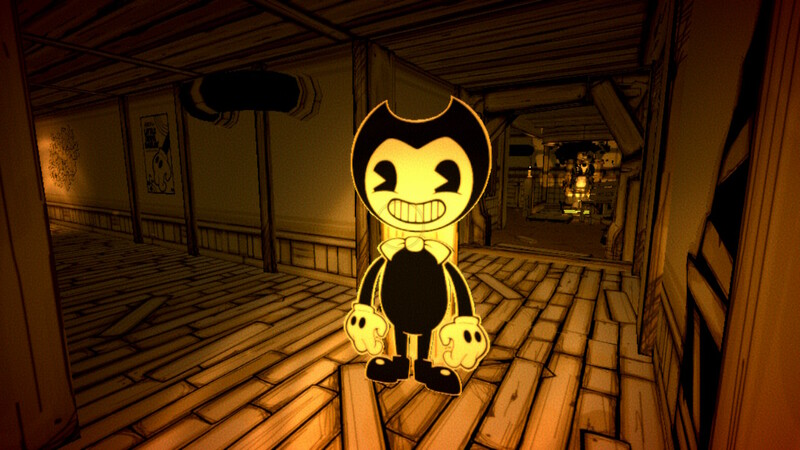 After gracing the PC as an episodically released survival horror game, Bendy and the Ink Machine is complete and making its way to home consoles. 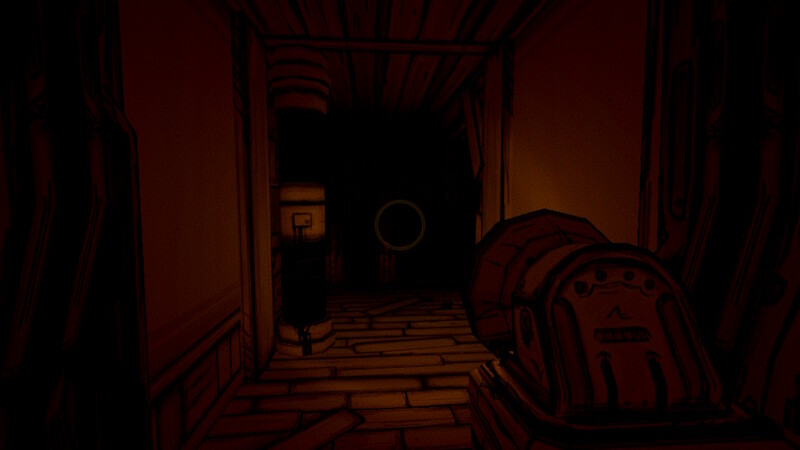 The old style cartoon art style sets the game apart from other titles of similar ilk, however Bendy and the Ink Machine manages to replicate the same tension and fear of games of the genre like Amnesia: The Dark Descent, whilst offering up an interesting world and narrative that is complemented by characters that you can’t help but want to learn more about. 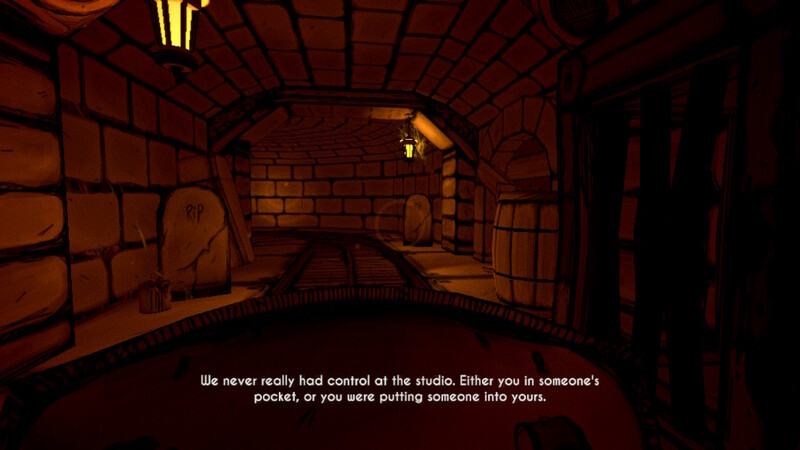 The story places players in the shoes of Henry Stein, a former animator at Joey Drew Studios, who is returning to his old workplace at the request of the studio founder Joey Drew. Upon arrival at Joey Drew Studios, it’s immediately obvious that things aren’t quite right, as Henry quickly discovers that a mysterious device known as the Ink Machine has created horrific versions of the studio’s iconic characters, such as the titular Bendy and Alice Angel, while at the same time morphing employees into various nightmarish creations. The five episodes in the game chronicle Henry’s journey throughout the various divisions of the animation studio in his attempt to find out what exactly has become of his former workplace. Without going into much more detail, I’m happy to say that the narrative is absolutely brilliant, and the strongest draw for the title over its approximately five-hour run time. The characters of Bendy and the Ink Machine are brilliantly animated and well realised, with a substantial depth that endears them to the player. Boris (a wolf who resembles Disney’s Goofy) manages to be a character you care significantly about, despite the fact he does not speak at all. The same can also be said for Alice Angel who, despite not being at all friendly to you, has struggles that you find out about that makes her anger understandable. Even the characters you only hear on the audio logs manage to provide something to the narrative. Generally speaking, audio logs in games are hardly ever worth listening to (in my opinion at least), yet all the logs you listen to in Joey Drew Studios are there to add more weight to the narrative. Whether it be the employees’ thoughts on Joey Drew, or their complaints about the oddities occurring at the studio, I always found myself eagerly listening in. Overall, the story and characters of Bendy and the Ink Machine are top notch, and thankfully the game is pretty damn fun to play too. The gameplay of Bendy and the Ink Machine is pretty simple, but that doesn’t really take away from the game. 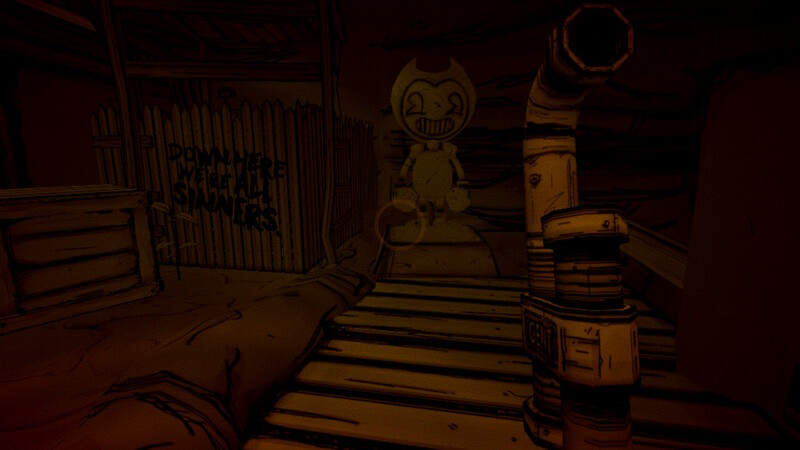 Bendy and other foes are on the loose in the studio, with different characters requiring different actions in order to get away or kill them. For example, when Bendy is around haunting music will play, leaving you to find the best safe spot to hide, whereas enemies such as the Searchers and the Butcher Gang members can be dealt with by attacking them with whatever weapon you may have at the time. 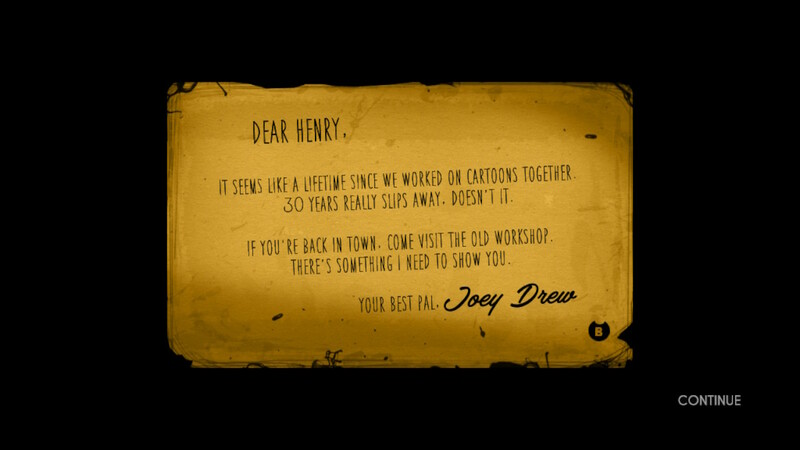 What makes the enemies of Bendy and the Ink Machine so interesting is the fact that some of them are seemingly former employees of Joey Drew Studios who had come in contact with the Ink Machine. The studio’s projectionist Norman Polk, who you hear about in the audio logs strewn throughout the studio, roams the halls as a horrific half-human-half-projector monstrosity known as the Projectionist, and other staff members also appear as twisted figures based on their role within the company. No horror game is complete without its fair share of scares, and while Bendy is quite tame for a horror game, I was quite surprised by the sense of fear and anxiety the game managed to build. 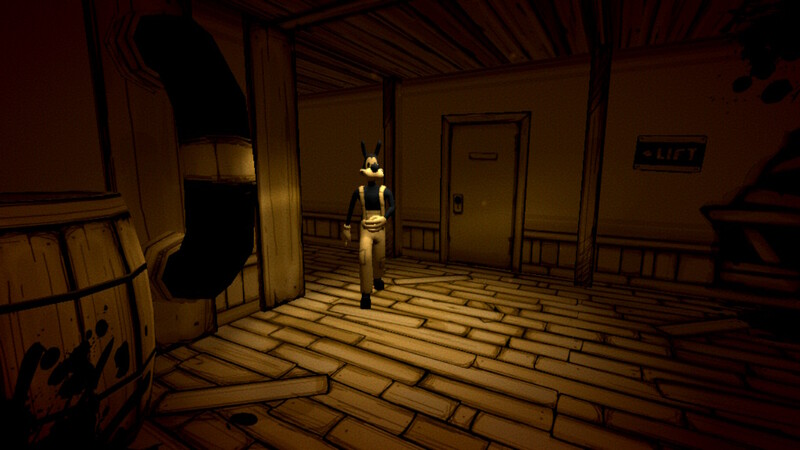 Entering a room to find nothing only to turn around to find a cardboard cutout of Bendy staring at you was startling at times, as was walking into rooms and having a projection start playing an episode of a Bendy cartoon. 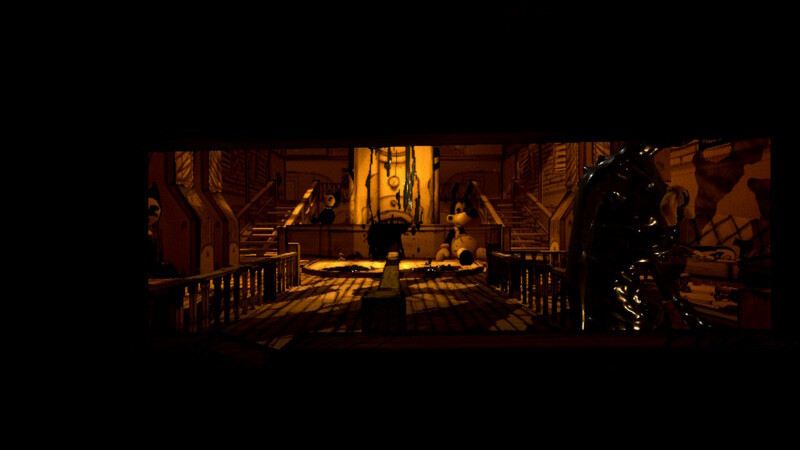 The horror of Bendy and the Ink Machine may use familiar horror game tropes, but it makes clever use of the game environment in a way which makes the horror feel a little less predictable. Despite being enamoured by Bendy and the Ink Machine, I couldn’t help but notice a few minor issues. One of my biggest annoyances with the game was how easily the simplistic combat fell apart in areas where there was a heavy enemy presence. The combat is as simple as hit an enemy and move away far enough to get out of its reach. In almost all situations (except when there are heaps of enemies attacking at once it’s a non-issue), but I can’t help but feel like it would’ve made more sense to implement some sort of block you could do to protect yourself from enemy attacks. My biggest frustrations with Bendy and the Ink Machine had nothing to do with the gameplay, but with the game’s borderline unforgivable crashes. Chapter 4 and Chapter 5 both end with boss battles followed by additional narrative progression, which you obviously would want to see, considering how engaging the story is. However, after defeating the bosses in both chapters and loading into the cutscenes that followed, the game crashed, booting me back to the Nintendo Switch home screen. It’s upsetting to have the immersion shattered at the moment of the crash, but the sadness quickly turned to frustration upon the realisation that after booting the game again it hadn’t saved, meaning I had to defeat the boss again and hope it wouldn’t crash. Having this occur at the end of the final two chapters of the game left a sour taste in my mouth, as losing progress in this way one of the most frustrating things a gamer can endure. I’m not sure if this issue is only on the Nintendo Switch version, but hopefully it will be patched in the future. Lastly, to be a bit nitpicky, I also encountered a boss battle that caused the frame rate to drop heavily to the point where the game chugged like a first-year uni student at a toga party. Yet again, I’m not sure if this issue is particular to the Nintendo Switch or not, but hopefully it can also be alleviated via a patch, as the boss battle would be far more enjoyable if it maintained the otherwise reliable framerate experienced in the rest of the game. 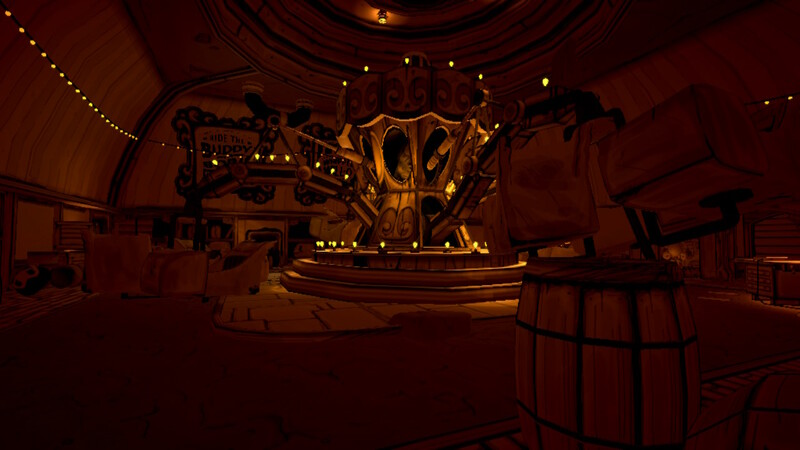 Bendy and the Ink Machine’s intriguing world and gripping narrative may be its most attractive assets, but the gameplay still stands well enough to complement the story. The art style is awesome and despite its bright nature is surprisingly fitting for a horror game. The puzzles are simple yet fun, and the characters are padded out well enough that you take an interest in them. Bendy and the Ink Machine may not be the scariest game, but much like the aforementioned Amnesia: The Dark Descent, it manages to provide an atmospheric and angsty horror experience, where you are just dying to see what’s going to happen next. Bendy and the Ink Machine is a damn good time, and I highly recommend you give it a try.